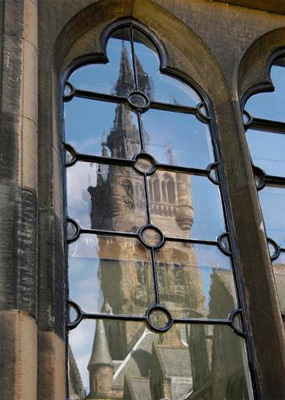 James Ferguson Dyer graduated MA from the University of Glasgow in 1901. James was born 2 July, 1880 in Tokyo, Japan. He was youngest of the three Dyer brothers, whose father was Henry Dyer, the influential Scottish engineer and educationalist who contributed to the industrialization of Japan. Dyer began his studies at the University in 1897 at the age of 17. He attended classes in Latin, Moral Philosophy, and honours classes in German, History and Political Economy. After graduation, Dyer attended Balliol College, Oxford, and later became a civil servant in India.